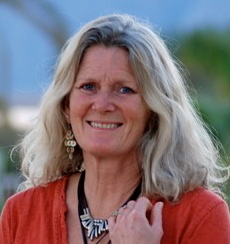 BUffy has worked as a therapist since 1996 working with different tools and techniques that act as catalysts to allow transformation to manifest in clients’ lives. "I see you with my heart"
The use of a colour or a crystal assessment helps discover what is needed at a deeper level, sometimes out of reach of the client's current consciousness. From this point, BUffy can discern the priority action required to facilitate a safe and appropriate shift for the client, remembering at all times it is the client who manifests the transformation and healing in themselves. BUffy believes in self-awareness leading to self-empowerment. 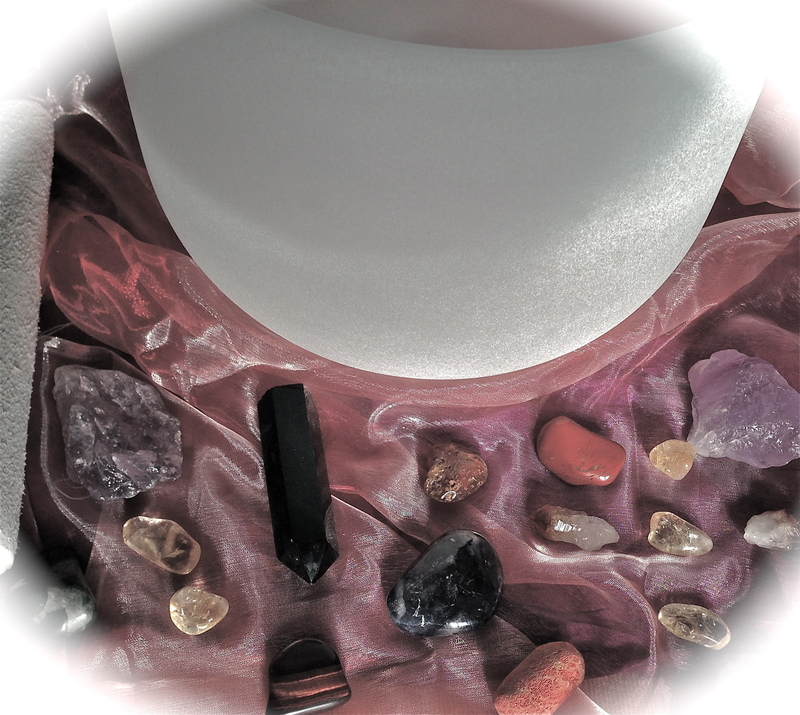 The vibrational tools that BUffy works with are colour, crystals, flower and vibrational essences, sound, essential oils, aromatherapy massage, Hawaiian Lomi Lomi and bodywork. Clients come to BUffy for a variety of reasons; these could be of a physical, mental, emotional or a spiritual nature. They may feel something is missing from their life and are looking for empowerment to discover their true radiance or to dissolve any limiting beliefs that distract them from their true brilliance and their path. They may wish to explore and develop the self in a safe, supportive environment. BUffy works from Body and Soul, The Old Posty Office, High Street, Blagdon, North Somerset, BS40 7TW. In East Devon once a week on a Friday. BUffy sees clients in their own homes in the Blagdon area, and travels further afield, with all travel costs being covered by the client. Due to the tools BUffy has access to, she does not always need to work face to face with a client to help manifest change in their lives. Please try to arrange an appointment for a time when you are able to relax afterwards, so gaining optimum benefits from the treatment. It is important to sip plenty of water after a session to help any detoxification process. You may become aware of emotions that need acknowledging. As a complementary practitioner BUffy does not diagnose or treat specific dis-eases or illness; she works with clients holistically, so the client may manifest his or her own unique healing. Complementary therapies compliment allopathic medicine and are not to be used instead of visiting your GP but as a holistic way of looking after your wellness. Earth and Heart have the same letters, connecting to the earth gives us an oportunity to connect to our hearts and an open heart radiates love and joy. This does not mean you never feel sad, bit you find the beauty with in the emotion. ~ "Full body immersion in sound, feel the vibration of the gong on your physical body, the sound waves passing through, play tibetan singing bowls, work/play in pairs groups using instruments and sounds to intuit where the sound flows and reacts to your body, mind and emotions..... is there resistatanc or does it resonate. Have a drum shower"
~ "Rhythms of life with drums"
~ "Voice exploration and sharing - is life AAH or ARGH to you?" ~ "Sonic art - as a group, explore a piece of art work and give it a sonic kiss, using a variety of instruments and sounds, so it becomes sonic art." ~ "Narrative - Exploring perceptions and opening opportunities to change the Story” Great for teams or groups with an issue they wish to transform." Crystal and Gem Therapy and Healing with Colour sessions are £40 an hour. When using colour for healing or as a self help tool, reactions to colour stem from our subtle energy systems and the limbic system, not from the conscious mind. Our likes and dislikes and choice of colour allow insight into what coherence is active at subtle levels of our beings. Working with colour at a psychological level can give cognizance to patterns of behaviours otherwise veiled by the conscious mind. Stones and crystals give you an opportunity to truely connect to the earth and when working with planetary nets and your natal chart, explore heaven on earth. Crystal and Healing with Colour sessions may include techniques, like Emotional Stress Release, Crystal Nets, Chakra Balancing, Guided Visualisation, body alignment, energy clearing, balancing and Goal Setting. BUffy reserves the right to refuse treatment if she does not believe it to be safe and/or appropriate. Full body massages are only available to females. Please inform Buffy if you have an animal allergy before booking. A cancellation charge of half the orignal price applies if less than 24 hours notice is given. Put some Colour back into Your Life. Guided Visualisations and Creative Play. 'Sounds Familiar - same old, same old' - working with limiting beliefs. "Sounding Off" - who can hear me? Soundbaths, Soundscapes and Drum circles. Therapeutic Sound in the Community. Immerse yourself in the wholeness of sounds, experience the tones of Himalayan singing bowls, explore the elements within the wind gong and fine tune your being to crystal singing bowls. Follow the sounds as they play and embrace your being. and bring a mat to relax on, a pillow or cushion and a blanket for comfort. If you are unable to lie down (or maybe get back up), please inform BUffy before booking so she can source a chair for you to sit on. Please bring a personal bottle of water with you. Booking is essential with all sound events. £10 a session with flexibility if needs be! An oportunity to work/play with crystals and lay in Crystal Nets. We will be working with a variety of crystals and you will learn techniques to help support yourself at home, with and without crystals. Depending on the group and the dynamics, we shall finish with a short sound meditaiton. 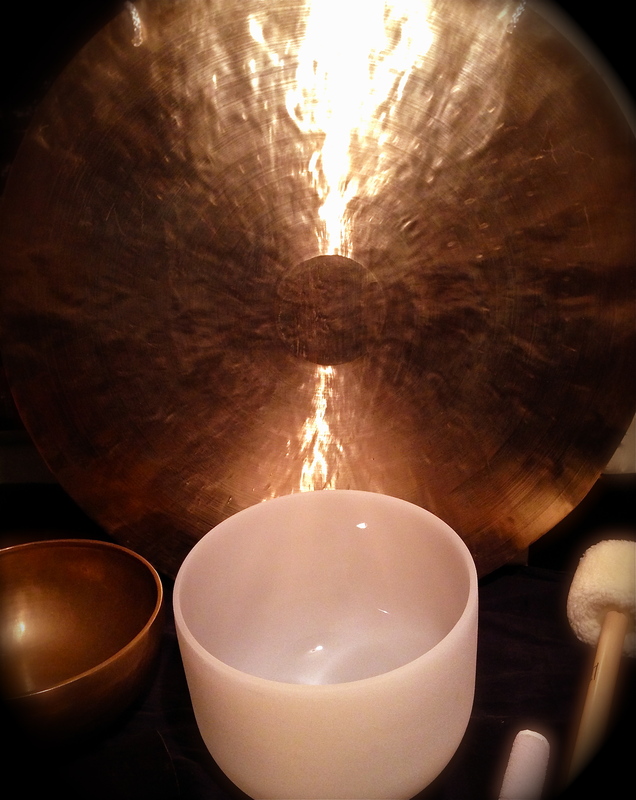 Exloring the self through gong and Tibetan bowls. There has been much research into the use of sound for pain control, relaxation and deepening meditative states. Come and experience it of yourself. Crystal Nets and finishing with Sound and use of sound to deepen the experience. Sound exploration, voice and sounds for clearing energy in our body... so sounding for health. No experience is needed in any of the workshops. Workshops will be held in Coombe Lodge area of Blagdon. Healing Radiance Massage – allow yourself space for transformation - dissolve and let go of what no longer serves you. A dynamic, energetic massage that includes techniques such as cupping, hacking and wringing movements. Essential oils can be added for their therapeutic qualities. A gentle flowing effleurage movement using the medium of massage to anoint the body with essential oils, releasing their aromas to caress the olfactory system. Each blend is created individually for the client’s physical, mental, emotional and spiritual state at the time and their wished state, be it relaxation, stimulation, invigoration, clarity, release or bliss. A massage of the hands or feet, working the whole body through pressure points on either the feet or hands. Massage is with or without the use of essential oils. All the above massages may be booked for 30, 60 or 90 minutes and cost £20, £40, and £50 respectively. Full body massage is only available to females clients. Past traumas can be lodged in the body memory so massage can help support the release of these, bringing a more peaceful understanding of life and insights into ways forward. Allow the motion of the ocean waves to carry away all your stresses and strains, with a gentle rocking to help release and produce flow and complete body connection. This massage uses long strokes up and down the whole body with the forearms, as well as hands. This massage is a truly nurturing experience, honouring the rites of passage of time. BUffy uses Organic and ethically sourced coconut oil for this massage. Female only. No one treatment is the same as BUffy works intuitively with the subtle energy of the body as well as the physical. Releasing muscle tension using trigger points and balancing energy if it feels depleted or excessive in certain areas, by holding/rubbing specific points and following the energy flow. Thank you for your interest in BUffy's work. Well done to the boys who cycled from Twickenham England to Africa and back in two weeks raising money for Street Invest. Months of training, with many miles under their saddles, plus good nutrition, positive mental attitude, vibrational essences and massage made this an incredible success. Thank you.